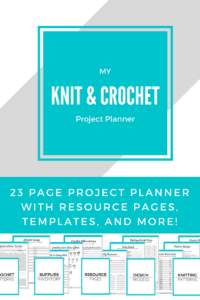 Make It Happen: Knitting & Crochet Resources, Printables and Cheat Sheets! Makers Gift Guide: 20+ Gift Ideas for Crocheters & Knitters! My Favorite Yarns For Every Kind of Project! Craftsy Yarn Haul + Extra Goodies! My Knitting Tools: Favorite Products + Where to Get Them! I’m Shehla, and this is The Blue Elephants, a place to learn crochet and make fun, modern, and beautiful items by hand. 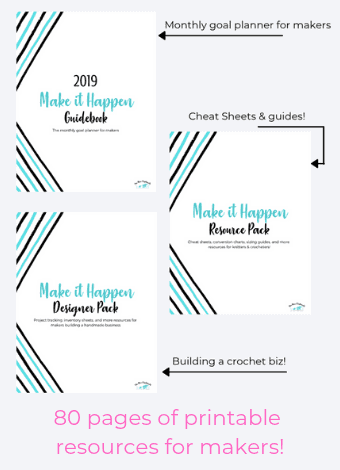 The 2019 Make It Happen Planner Packs! Shehla Ahmed is a participant in the Amazon Services LLC Associates Program, an affiliate advertising program designed to provide a means for us to earn fees by linking to Amazon.com and affiliated sites.